I have been treating people in pain for more than 30 years. Providing successful pain relief for fibromyalgia sufferers has been especially challenging because many, if not most, therapies are often unsuccessful. As a result, patients are ultimately dependent on pain medications for relief, which can introduce its own set of problems and ongoing expenses. 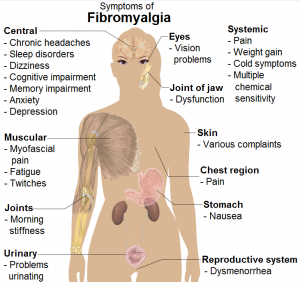 The chronic nature of fibromyalgia symptoms interferes with job performance and attendance, personal relationships and ultimately dampens the overall quality of life. Women are ten times more likely to develop fibromyalgia. FDA-cleared Calmare Pain Therapy Treatment uses a drug-free, non-invasive, biophysical scrambler therapy to transmit a “no pain” message from the brain to the area in pain using electrodes similar to what you might use for an EKG. After administering Calmare for more than a year, we have experienced an average success rate of 89 percent treating advanced cases of fibromyalgia even when the patient is also suffering from reflex sympathetic dystrophy (RSD). After years of research and testing, we selected this revolutionary therapy as a new, non-invasive solution for our own patients suffering with several types of treatment-resistant chronic pain. But let me be clear─Calmare is not a “one-time-only” miracle cure. This FDA-cleared therapy is (typically) administered during a 10-treatment series lasting about 45 minutes to an hour for each session. However, booster treatments may be necessary months or years later, depending on the severity and length of time the patient has been in chronic pain. Should you choose to undergo Calmare Therapy for fibromyalgia or another type of chronic pain, a word of advise─make sure your therapy is performed by a doctor who has advanced expertise in understanding the musculoskeletal system and how pain is communicated between the brain and the receptors in the body. If your therapy is performed by someone with less expertise, your results may be diminished. Also, there are currently only seven providers in the U.S. who have been certified to perform Calmare Therapy, including myself. If you’re a fibromyalgia sufferer, don’t give up the fight to find a cure for your pain. For inspiration, we invite you to watch a few videos of some of our patients whose lives have been changed because of Calmare Pain Therapy. I am always available to answer any questions or talk about your particular healthcare situation. Feel free to contact me anytime. Michael Cooney is a doctor of chiropractic at Rutherford Allied Medical Group in Bergen County, New Jersey. He is the first and only doctor in the state of New Jersey to offer Calmare Therapy and one of seven in the U.S. to be certified by Competitive Technologies. Calmare has proven to be successful in the treatment of pain as a result of injury, RSD, fibromyalgia, radiating pain, cancer and chemotherapy treatment, diabetic pain, back and neck pain, post surgical pain, failed back surgery syndrome, and general neuropathy. To learn more, call (201) 933- 4440. That’s very informative post about help with pain relief for fibromyalgia sufferers find calmare therapy.